That quote right there ^^ shows exactly why I am writing this post. 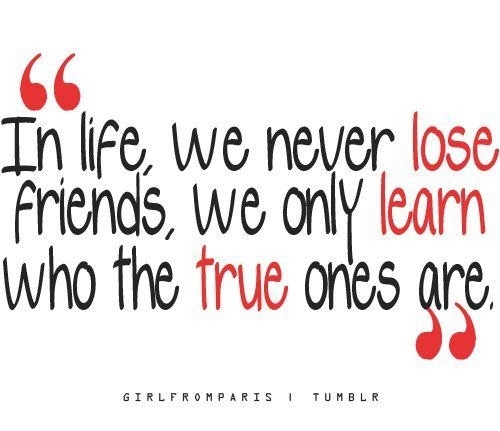 There's a difference between true friends and people you just hang out with. I read a survey that said you will have at around 300 friends in a lifetime?!?! (Including those little ones you make when you're young) Wow, so if they were friends why have I only got a percentage of the same ones still? I always think of myself as a good friend, I treat others how they treat me, well I try to. But is it true that people just "drift apart". I think it is true in a certain aspect. You might make a friend in a dance class, but when you leave that dance class you have no similar interest - was that really a friend? It's really hard for me nowadays to become to close to anyone and call them a true friend. Just when I think I've made another really good friend - they show their true side. Like the times when you're upset and need someone to talk to they're busy or the times when they put everyone before you. Sad isn't it. I am no where near perfect, but when I am close to someone I try to make sure I am there for them.. even if it's just a call or a text. So use this post to step back and think. Out of your friends, how many of them are true friends, do you think that you can trust them with a secret and not worry about them telling anyone?! Will they tell you when they're not happy about something or just ignore you? be warey. Ohmygosh, I hate when people say 'I know how you feel' but, seriously I know how you feel. It comes to a point where I think am I being befriended just for the time being? Or am I being used because I'm quite a dedicated person who likes to offer advice..whereas if it was the opposite they'll nod at everything I say and not offer any advice of appreciate when I have helped them out. I think the best test of friendship is if you still stay friends outside of where you met them, be it school, uni, dance class etc. I've met various people at these places but as soon as we've left, they don't seem to bother staying in touch or responding to messages etc. It takes me a while to trust friends with secrets because, like this post says, I like to make sure they're an actual friend, and not someone who is simply just there. Urgh, tell me about it! I've had lots of bad past experiences and it's really sad as now I have very few girlfriends I can trust. Nothing worse than discovering someones true colours aren't all that pretty! I really enjoy when you do post like these it really does put things into perspective. i'I've been there and done that with the whole situation like my nan always says you should be able to count all your friends on one hand! 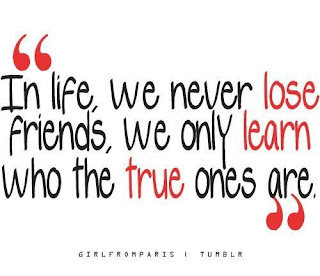 There's no need to be friends with lots and lots of people i'd rather have a few close friends that are always there for me rather than a bunch of people that couldn't care a less! I know exactly what you mean. I recently had a fall out with someone I thought was a true friend. 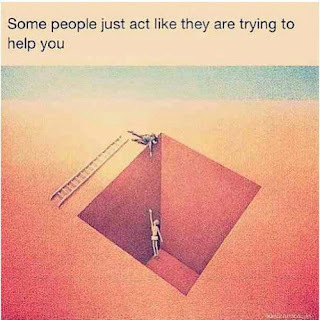 It's when you need them badly to help you up that you see how good friends they are.. Either way at least it's positive in the way that you know who to trust and who not to :) <3 Great post and really made me think!